Clinigen is a global pharmaceuticals business which sources and manages access to medicines. 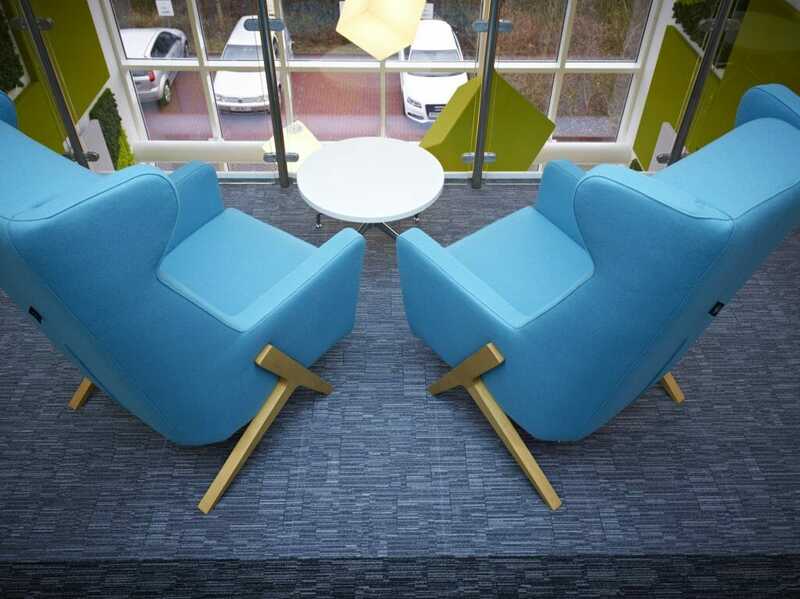 We worked with them to transform their global headquarters, delivering a complete redesign, refurbishment and fit out of their offices. Clinigen provides pharmaceuticals for use in clinical trials, and for early-access treatments where patients have unmet medical needs. It also offers its own portfolio of products for use in the hospital sector. 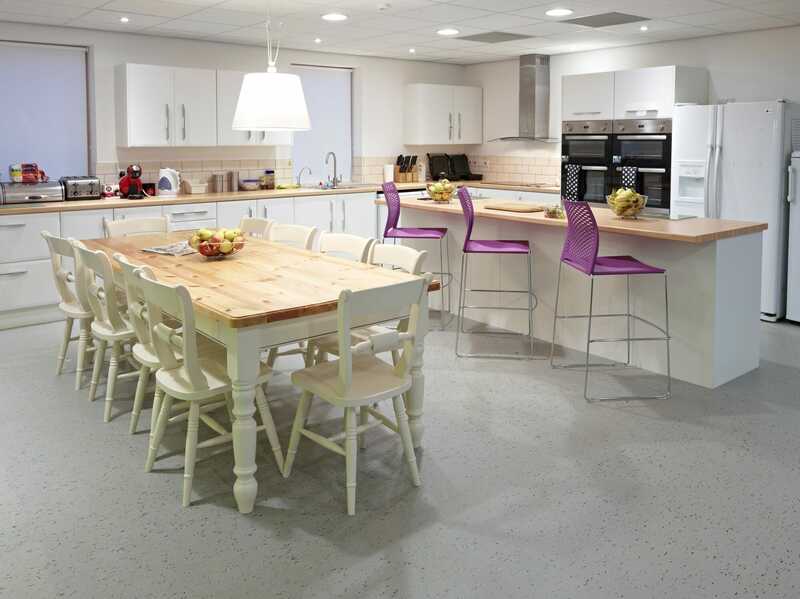 Our team began by undertaking a detailed workplace assessment and accommodation study to determine how the available space could be utilised to meet Clinigen’s specific business needs. This allowed us to design a space equipped with the resources needed to support their people to work to the best of their abilities. We went onto deliver a complete refurbishment of the headquarters, including the fit out of a new glass link to join two separate buildings together. 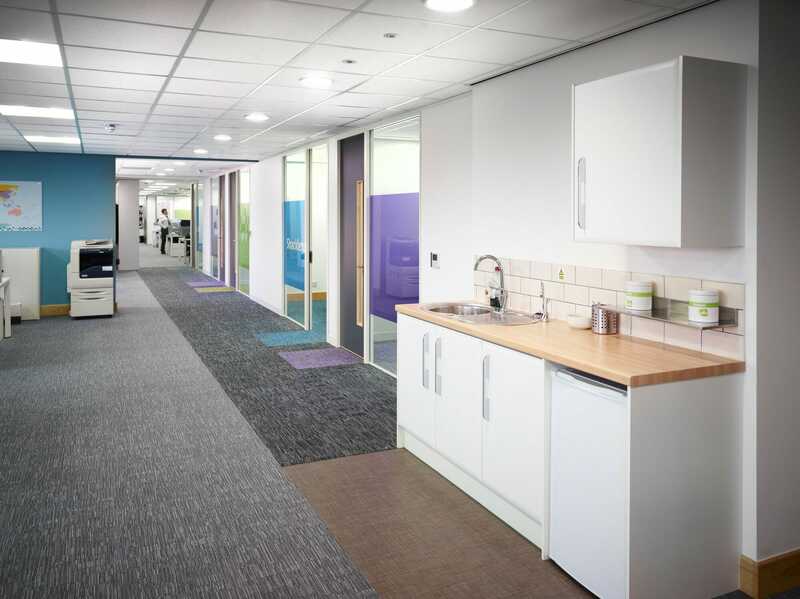 The offices needed to be used throughout the refurbishment, so we worked with the Clinigen team to identify a programme of work with the least possible disruption. 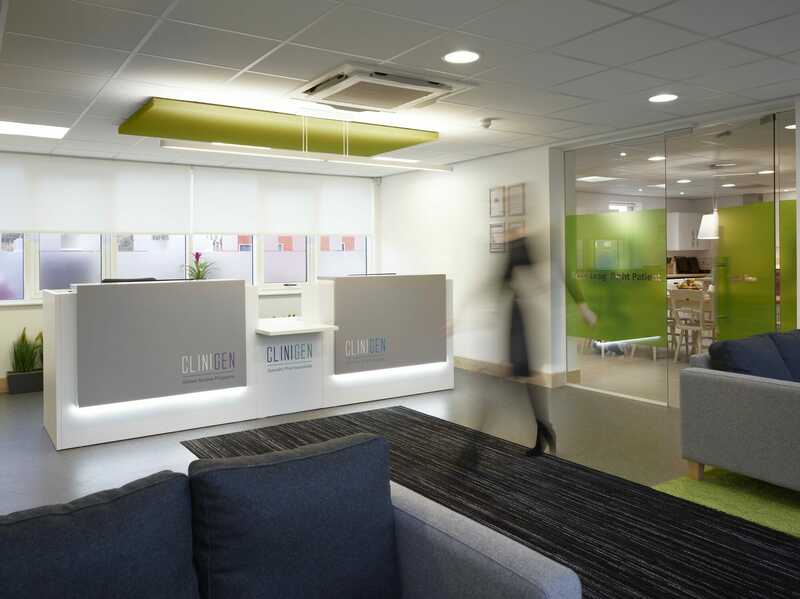 We enabled Clinigen to completely reshape their working environment. 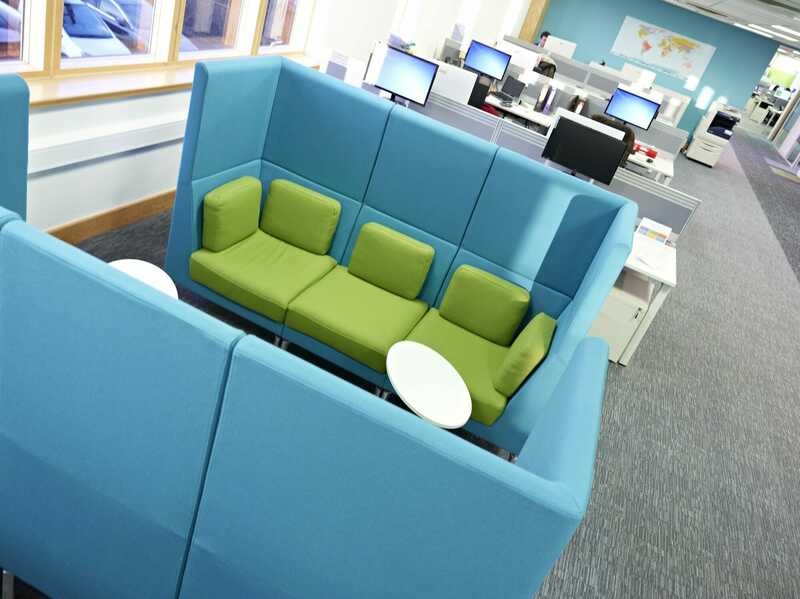 Office areas, staff kitchens, reception area, meeting rooms and break out areas were all redesigned to ensure optimum usability. 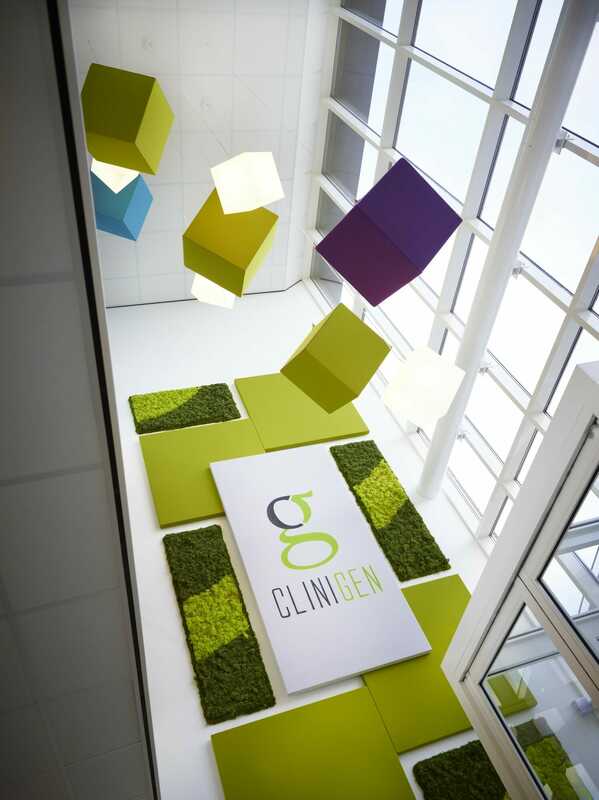 Our designers also incorporated the Clinigen brand throughout the décor and furnishings to give a strong sense of identity to the headquarters of this growing organisation. 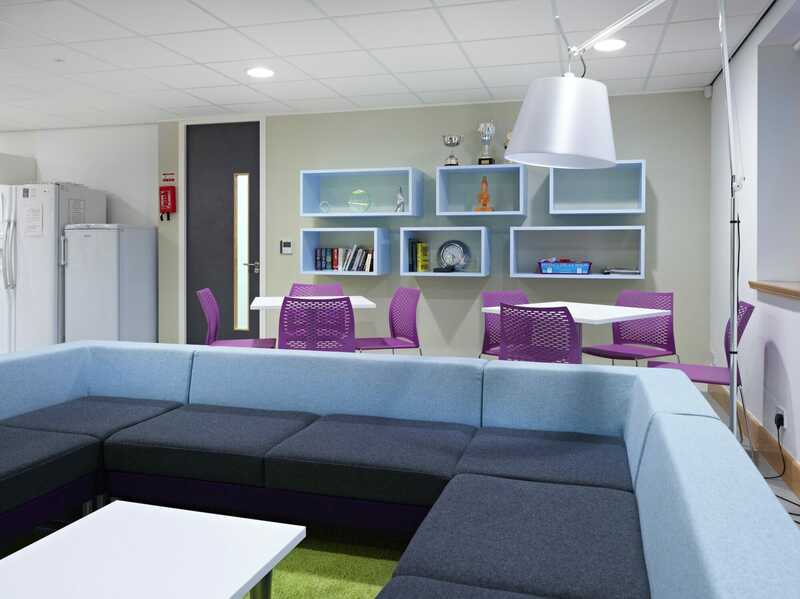 Having had bad experiences with contractors in the past – with timelines not honoured and weekend work overrunning – we entered the fit-out process with a good deal of trepidation. However, thankfully our reservations proved unfounded. The Blueprint team helped us identify a route to completion that would minimise disruption and enable us to ensure business continuity. Blueprint were as good as their word in sticking to the plan and delivering the project to time. Blueprint understand the importance of delivering on their promises. They provided a full service from design to implementation and took care of all the issues regarding the refit, simply requiring decisions, and allowing us to get on with our business with minimal disruption. Since having the building refurbished we have grown into a multisite operation with locations in Burton upon Trent, Weybridge, Australia, South Africa and the Far East.